(BBC): Banks will leave the UK and relocate overseas if there is not international co-operation on any tougher financial regulation, the chancellor has said. 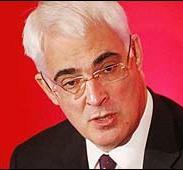 Alistair Darling told the Commons Treasury Committee he did not want to take the risk of acting unilaterally. The Conservatives have said they would create a new tax on banks even if other countries decided not to do so. Darling also said Labour’s planned rise in National Insurance next year would have an "impact" on jobs. The chancellor spoke as revised figures showed the UK economy grew more strongly than was previously thought – by 0.4% – in the last three months of 2009. (CNS): One of the Cayman Islands most glamorous sporting events is moving to one of the islands’ most glamorous locations. This year the Million Dollar Run is moving from the North Sound to Seven Mile Beach. This means that for the first time ever spectators will be able to see the race right on the beach front. The new route starts at the Marriott Beach Resort 300 yards offshore before the crafts blast up the world-famous Seven Mile Beach heading west towards the public beach and on to Northwest Point, before making a turn and heading back South towards the Thompson Mooring in George Town before making another sharp turn heading back to Royal Palms. The raceday will once again consist of two classes; the Circuit Class, broadening the range of those who compete in MDR, is designed for the pleasure boaters and any new captains wishing to get involved in the event and the Offshore Class designed for the more experienced captains and higher performance crafts. The captains participating in the offshore leg of the course will run the entire route for six laps a total of 45 miles for the fastest time offshore. The Circuit Course is a shorter and tighter version of the main route and those participating in this class will complete a total of four laps battling for prize for best time Circuit Class. Typically 20 boats will compete for six prizes including Best Time (Offshore and circuit), Best Hand, Best Crew, Best Craft and Outlaw Class (boats competing under 500 horsepower.) For the poker run element of the race “Cards” are chosen randomly before, during and after the race to form a full five-card hand for each Captain at the race’s conclusion. Fans will get to see a high calibre of captain’s participating including Andres Ugland Sr. of Ugland Offshore Racing, a previous winner in 2004 who will race in the offshore class participating for the eighth year. He is a master of his trade and continues to impress the crowds. Since the debut of his team in 1991, Ugland has continued to excel in his craft and win European, National and World titles. He is, without a doubt, an asset to the Million Dollar Run. Dale Crighton, a Caymanian entrepreneur, is back to regain the title for best time in the Offshore class after he dropped out of the race early last year due to mechanical problems. In 2008 he dominated the water with his 42-foot Fountain “Heavy Metal” and took home the trophy! Event Co-founder, Kenny Rankin is thrilled with the new route for Million Dollar Run and is preparing for a very exciting event this Easter Weekend. The start and finish location, with the main stage for prize presentations will be held at Royal Palms, the setting for the perfect family day out on Easter Monday. For those who want to enjoy the party atmosphere there will be various spectator locations along Seven Mile beach, with Calico Jacks hosting the beach party with DJ Billy Corduroy from Spin 94.9 FM and the MDR Beach BBQ will be held at the Ritz- Carlton beach front, tickets CI $60. The Barcadere Race Village will be where the Million Dollar Run Captains will give spectators a sneak peak of their crafts which will be entering in Monday’s race. Spectators can enjoy a family fun day interacting with these captains and their crafts and Audi will be showcasing the ultimate driving experience with their newest vehicles. Vibe 98.9 FM and Spin 94.9 FM DJ’s will be providing entertainment all day, the kids can enjoy a play zone and food and drinks will be on sale. Very one is welcome to attend this family friendly event and there is no entry fee. The Banquet Dinner for the captains will be replaced with Sunday Brunch at Abacus in Camana Bay, limited tickets are available for additional guests wishing to attend. The Ugland Offshore Racing Million Dollar Run is presented by Dragon Bay, Grand Cayman; Corum Watches exclusive to Magnum Jewelers, Audi, CayCompass.com, Butterfield, Barcadere Marina, Scotts Landing and Valvtect Marine Fuel, Ketel One Vodka, Taittinger champagne, Heineken, Titan Security, Crighton Properties, Sign Solutions Graphics and Web Design, Cayman Islands Department of Tourism and Paramount Media. For more information on registration, log on to www.mdr.ky or contact Jade Whitelaw at Monster Media on 345 949 8423. (CNS): With only four days to go before the opening of the CARIFTA games excitement among local sports fans is mounting. The community has been coming together to support the event and many people have been engaged in fund raising efforts especially to help the athletes who will be participating in the games from Haiti. For the first time people will be able to watch the games live across the region as LIME sponsors the TV coverage. The Cayman Islands Football Association (CIFA) has also done its part to support its fellow sports persons by postponing the Senior Men, Women and Youth games which was originally scheduled for the same dates. “This decision was made by the CIFA executives to ensure that these athletes get full and undivided support during this seasonal event,” a spokesperson for CIFA said adding that details of the news dates for CIFA would be released soon. The Caribbean Media Corporation (CMC) will bring the games to the people of the region through the sponsor ship of LIME and seventeen partner stations across the Caribbean have confirmed that they will be televising the games live. In Cayman sports fans can tune into Cayman 27 for full coverage which will include commentary, interviews and analysis of the competition as well as the opening ceremony. “LIME recognizes CARIFTA as one of the most important events on the region’s athletic calendar and the critical role the games play in developing young athletes,” said Chris Dehring, LIME’s Chief Marketing Officer. (CNS): While all eyes might be on the CARIFTA games taking place this Easter weekend at the Truman Bodden sports complex, the Friends of Cayman in London were looking ahead to next year’s Island Games when the Cayman Islands will be sending a team to the Isle of Wight in the UK. The friends hosted a fund raising event at the House of Commons, to raise money for the games which is the only international sports competition that allows residents as well as Caymanians to compete together on the same team. Hopefully Cayman will be fielding teams to compete in a host of events from Athletics, Basketball, Golf, Sailing, Shooting, Swimming, Tennis and Volleyball. Other interested sports disciplines at these Games are Squash, Windsurfing, Badminton, and Cycling. The principal organizer of the fundraiser and former governor, John Owen, said it was a most successful evening. 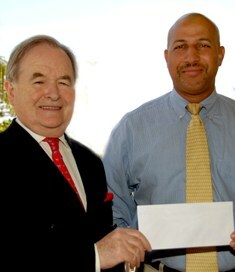 “The amount of money raised has exceeded my expectations and I am most grateful to all the Friends of Cayman and their guests, who so generously supported this event,” he said as he handed over a cheque for approximately CI $22,000 to the Association for the 2011 Games. (CNS): Police said this morning that they have now taken Mark Anthony Seymour into custody following his charge for attempted murder on Friday 26 March. The RCIPS said that they had charged 25-year-old Seymour, who is from George Town, with the crime in absentia as they had enough evidence to tie him to a recent shooting in Windsor Park but had not located him at that time. Seymour was arrested following a police operation in the South Sound area yesterday afternoon (Monday 29 March) when a 28-year-old man was also arrested on suspicion of harbouring a fugitive in the same operation. Seymour now joins two other men who were also charged with attempted murder on Friday in connection with the same shooting. The charge relates to an incident on 5 March when shots were fired at, and into, a house in Templeton Lane in the Windsor Park area of George Town. The other two men who have been charged are Luis Robert Verona, 27, from West Bay, and Sven Brett Connor , 29, from Newlands who appeared in court yesterday. 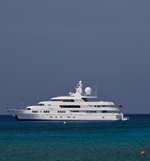 Has anyone paused to consider how valuable Cayman News Service has become to the Cayman Islands? In short time this humble Web-based news organisation has become the national leader for fast and reliable news. Every day CNS beats much larger and better-financed news companies to the punch. No one is as reliably fast as CNS. No one offers a more convenient and functional Web site than CNS. What is even more remarkable about the meteoric rise of CNS is that virtually all of its news content is written and edited by only two people. Nicky Watson and Wendy Ledger are embarrassing Cayman’s news media giants, some of which have scores of reporters and editors to go up against Watson and Ledger. How do they do it? How are these two women able to scoop the competition day after day? While they are smart and that surely matters, the key to their success is likely due in large part to the arrogance and laziness of Cayman’s older news media. For example, print media in Cayman has traditionally been content to rake in profits while treating news articles as little more than filler to occupy the white space around the all-important ads on their pages. As the Web age dawned, it should have been clear that they would need to adapt and offer Web sites that are rapidly updated as news develops. But, true to form, they did not. Compare the news Web sites of other local media to CNS. Somehow, even though they are heavily out-numbered in personnel and out-gunned in resources, CNS manages to beat them on stories virtually every day. If nothing else, it shows that money and a staff the size of a small army aren’t everything. No less important than their fast reporting, CNS has provided a desperately needed forum for the Caymanian people. The comments posted on CNS provide an invaluable window into Cayman society. By allowing anonymous comments, censoring only the blatantly evil and insane, CNS has become a unique measure of Cayman’s mood and mindset. When crazed politicians and media dinosaurs criticize CNS for allowing anonymous posts, they only insult the public’s intelligence. As if we don’t know that there are vindictive and wormy people in positions of power who would not hesitate to harm someone over a single disagreeable comment posted on a news site. For example, there is a current government minister who was a civil servant several years ago and openly admitted on a radio talk show that he had checked with the Immigration Department to seek out information about someone who wrote a letter to the editor that was critical of his work. It is difficult to determine which is worse, the fact that the person used the Immigration Department for this purpose or that the person felt sufficiently at ease about it to discuss it on the radio. There are many passionate and intelligent people in the Cayman Islands who have ideas worth sharing. There are also many passionate lunatics who have ideas worth being afraid of. All of these thoughts should be heard and it is good that CNS has given them a home. CNS is embarrassing the competition in this arena too. Compare the number of comments posted on CNS in response to a hot news story with the number of comments posted on the site of older and larger news companies. The difference is striking. There are often more than 100 comments posted on CNS in reaction to one report while their competition’s site usually has one or zero posts after a report on the same news event. Doesn’t this bother the dinosaurs? Doesn’t this tell them that something about their product and organization is missing the mark? Or do they even notice? All of Cayman should be grateful to Watson and Ledger. Their efforts have given the Cayman public a reliable place to visit for breaking news as well as to share thoughts, make suggestions, or simply vent a bit of anger and frustration. Let’s hope CNS is here to stay. We need it. Cayman desperately needs a fast, intelligent and competent news source that sincerely cares about getting information to the public. Yes, Cayman’s lumbering dinosaurs should be very worried about what CNS is doing. But, chances are, they haven’t even noticed. 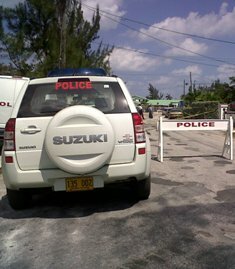 The commissioner stated that while he believed there are more than enough guns on the island, the weapons being used to kill people are a small number, shared among members and are of a particular nature.“ They are almost communal, they are accessible by gang members, they are passed around and not solely in the possession of any single gang member,” Baines added. The issue of trackingand following the behaviour of the known gang members, the commissioner said, is the priority focus of the RCIPS. He said the police had considerable information and intelligence about the gang members and who is committing the crimes. The main problem, he explained, was getting the evidence to secure convictions. Explaining what the police believe is the current situation with the gangs that are currently involved in the crime, he said the police know a lot about them and their criminal activity. The commissioner said two gangs have fallen out in West Bay and there are gangs in George Town that have connections with these West Bay gangs, as well as gang representation in the eastern districts. “Often the gangs are a loose affiliation of criminal people that are engaged together in criminal enterprise,” the commissioner said. “They are engaged in drug shipments which have also been used as cover for firearms.” He added that the membership of the gangs shifted affiliation. Some people had been in every gang, depending on friendships and associations at a given time. Baines explained that the police follow the main suspects around on a persistent basis. And while the known gang members are constantly stopped and searched in an effort to prevent them from engaging in criminality, the police were constantly frustrated by lack of evidence. He described a revolving door of suspects coming through the police system, but they were forced to release the individuals as they cannot be tied to specific crimes without forensic or eyewitness evidence. The commissioner said the police would be making use of the gang legislation, part of the penal code which has been on the books for some five years but has never been used before. He said that police would be looking more closely at the law to see if it can help prevent the gangs from shooting each other. He said there was now a dedicated unit within the RCIPS which would be working on prosecuting people that the police could prove were gang members under that legislation. As a result, the police will continue the sweep up of suspected gang members to start to close down the level of violence perpetuated on a daily basis. While Baines promised to push the limits of the legislation he said they would not cross legal boundaries to jeopardize future prosecutions. (CNS) The opposition has joined the government in calling on the UK not to change the economic model in the Cayman Islands with the introduction of direct taxes. In the wake of the recent letter to the local government fromthe OT director, Colin Roberts, that the UK is still expecting some new revenue raising measures from the Cayman government, the PPM has submitted a position paper to the FCO. The paper indicates that the UK should not undermine the jurisdiction’s financial services sector by forcing taxes on the country, despite the government’s failure to balance this year’s budget. Although the People’s Progressive Movement has raised a number of concerns about the current government’s economic strategy, the opposition is singing from the same song sheet when it comes to taxation, with the party telling the UK that taxation would rock the pillars of the Cayman Islands economy. Former education minister Alden McLaughlin told CNS that the FCO delegation had asked for the PPM’s input regarding the economic situation, and as a result the party had submitted a position paper. In the paper the PPM says taxation would slow the recovery and harm the country’s economic pillars. “We discern from the Director of the Overseas Territories Directorate’s letter of 12th March, 2010 that the UK is still pushing for us to identify additional sources of revenue and, it appears, for us to adopt some form of direct taxation. We do not agree with additional taxation, particularly in the present environment,” the document says. Aside from the issue of taxation, the opposition says it hopes the new governor will directly tackle the issue of public spending as the PPM states that, with revenues shrinking as a result of the recession, government spending must shrink equally. The party said it was optimistic that the governor wouldl at last play his part as the person with constitutional responsibility for the civil service. “The system visualised by the PFML and PSML presupposed that there would be somebody at the top to keep an eye on the civil service, someone who would ensure that the civil service operated in the intended manner. But, until now, no one has done that – neither the Governor, nor the Head of the Civil Service, nor the Financial Secretary,” the PPM states in the paper. The party also notes that there was no mention in the recent Miller report of who has power over the civil service. “It is also unfortunate that the Miller/Shaw Report does not acknowledge that the elected Government does not have control of the civil service, and that this rests in the hands of the Governor and his appointed delegate,” the PPM told the UK. The paper sets out the PPM’s concerns over the sale of government assets, the need for proper assessments before any services are privatized or before government enters into private sector partnerships. The current uncertainty surrounding the economic situation is another issue which the PPM raises, in particular the constantly changing decisions about how government plans to tackle the budget deficit. “We are concerned by the state of uncertainty and ever increasing fear that has been steadily growing since the new government took office,” the PPM said. The PPM offers its backing to the proposed three-year plan and says it is optimistic that there is “no more nonsense about getting government finances straightened out within the year,” presuming that, as the FCO requires a three-year plan, it does not expect the budget to be balanced this year and has relaxed the controls over borrowing. “We are pleased but not surprised to hear that the FCO is willing to relax the finance requirements to allow the minimal necessary borrowing while we carry out the plan,” the PPM states. The opposition team told the UK it believed the government must develop and announce a sensible recovery plan and then the country must be allowed to settle down and work through the challenges presented by the economic conditions the whole world is experiencing.